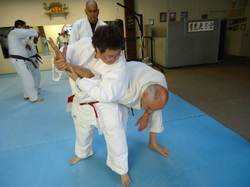 * Okinawan karate instruction - Kishaba Juku (Study Group) method. 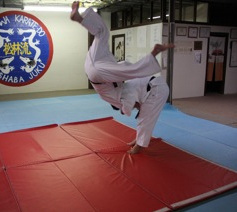 * Improve your physical fitness, balance, flexibility and coordination. 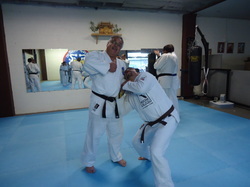 * Develop self-defense, self-control, self-discipline and self-empowerment. * Emphasis on motor skill acquisition and bio-mechanics development. 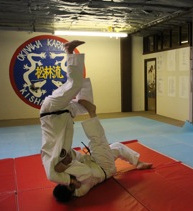 * Self-defense for adults and children. 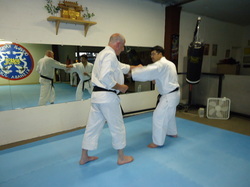 Private lessons by appointment. ||||| MMA Mixed Martial Arts training available. 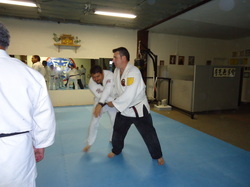 Train and fight with top-ranking MMA champion (multi-sport national athlete from Czech and a current Gracie fighter). 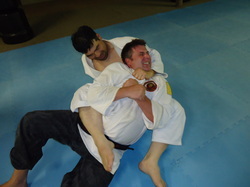 ||||| Grappling techniques part of our curriculum. 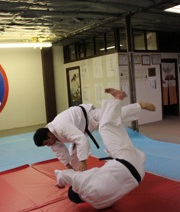 Learn beginning and intermediate grappling techniques with Marcos, who has trained champion Mixed Martial artists. 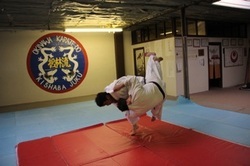 Small Circle Jujitsu classes held as schedule permits. Studio is in a rear complex across the street from Goodwill and behind Computers and Things. Plenty of free parking. Space available for other activities/events. 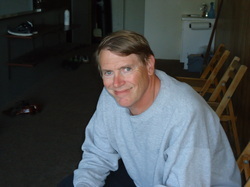 For more information, please call Patrick at 925-890-1011. 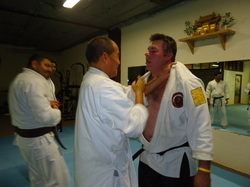 Sensei Jim Silvan holds the rank of 8th degree Black Belt. 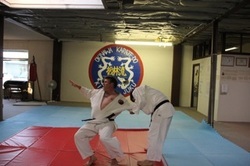 He has been an instructor of Okinawan Karate for most of his life. 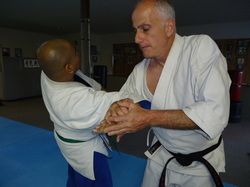 He has lived and studied in Okinawa with many masters of the art and has traveled throughout the world demonstrating and teaching the martial arts. 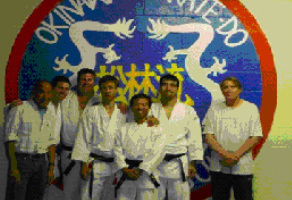 He has been inducted into the World Martial Art Federation Hall of Fame (1999), and inducted into the International Martial Arts Hall of Fame (1991) as Northern California’s Karate Instructor of the Year, and is featured in Who’s Who in Karate. 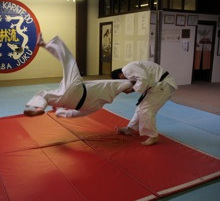 He holds a Bachelor’s degree in East Asian Studies and a Master of Science Degree in Kinesiology.